High quality latex balloons at an affordable price. 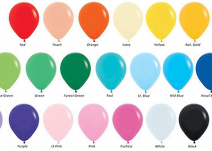 We use and sell only the best quality latex balloons. Helium filled 30cm standard, pearl or metallic with 1m or 2m ribbons – $1.50 each. Hi-Floated 30cm standard, pearl or metallic with 1m or 2m ribbons – $2 each. 30cm standard – $0.40 each or $35.00 per 100. 30cm pearl and metallic – $0.45 each or $40.00 per 100. 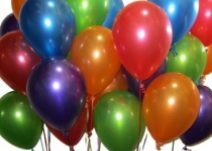 100 helium (standard or metallic) balloons – $140. 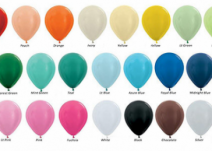 40cm latex balloons are also available. Call us for more information.